Superintendent Noel Cunningham said gardaí on the ground were frequently being called to serious incidents immediately after checkpoints. THE HEAD OF the representative association for senior gardaí has said the breath test scandal is a resourcing issue – but all ranks must accept responsibility. Speaking at the annual delegate conference of the Association of Garda Superintendents, President Noel Cunningham said that while it was not “a numbers game”, there was a push from headquarters to keep policing at a certain level despite recessionary cutbacks and the recruitment moratorium. “Certainly, pressure was kept on to ensure there was a presence on the roads, and that was during difficult times,” he told reporters in Naas, Co Kildare this morning. “We were enduring the reality during six years of austerity and we were endeavouringg to provide as good a policing service as we possibly could with depleting numbers and resources. There was no training going on, there was a lack of supervision because we didn’t have sufficient sergeants and inspectors on the ground and indeed superintendents positions were left vacant; the lack of numbers coming through for front line policing and the expectations from all of our over site groups- which is acceptable- was to provide a positive and upfront policing service and it was what we tried to do. Cunningham said this discrepancy occurred at a time when resources were “hugely depleted” so rank-and-file gardaí were often called straight from a checkpoint to another incident and would only get to record their numbers at the end of a shift. …this breathlyising job was carried out by guards who were multifunctioning, they were going from breath tests to assaults, to domestic disputes, to road traffic accidents, to anything they could be called to. They then had to go back at the end of their tour and record all of their functions, all of their duties, and the important thing was the breath test was done – that’s what was important, the numbers were not really a huge priority, it was to identify drunk drivers. Addressing the Policing Authority in a public session last week, Garda Commissioner Nóirín O’Sullivan said it was still too early to tell exactly how almost a million phantom breath tests were logged on the Pulse system. “This was weak practice. But we mustn’t forget that the overall objective is to save lives, and to improve road-user behaviour,” she told authority members. Superintendent Cunningham said he did not believe gardaí had been deliberately falsifying numbers and it is vital now that they are given the proper technology to ensure they can record accurate figures in the future. Email “'Pressure was kept on': Senior gardaí say breath test scandal is a resource issue”. 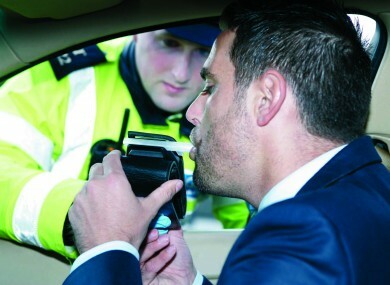 Feedback on “'Pressure was kept on': Senior gardaí say breath test scandal is a resource issue”.